How To Be Prepared For A Fire In Your Home | Calgary Alarm Inc.
No one wants to envision a scenario in which your home is on fire, but it’s important to do all you can to lessen the odds of such a mishap and to be as prepared as possible in the event of a fire. Here are some tips on how to be prepared for a fire in your home. It’s something we all hope to never have to deal with – but it’s always best to be prepared…just in case. One of the most important things you can do is to get a professional security firm to come to your home and to conduct a thorough assessment of potential risks. Depending on what the assessment turns up, you can get the security company to install smoke detectors, carbon monoxide detectors and the appropriate type of fire extinguishers for your specific situation. When it comes to awareness, you need to ensure that everyone in your household knows exactly what to do in the event of a fire. Whether you take the initiative or assign it to someone else in your home, you need to make sure that someone is given the responsibility of spearheading the fire awareness strategy in your home so that everyone knows not only how to prevent fires, but also what to do if one occurs. If your house is on fire while people happen to be there, they need to know how to exit, where to exit and where to meet with other occupants of your home. 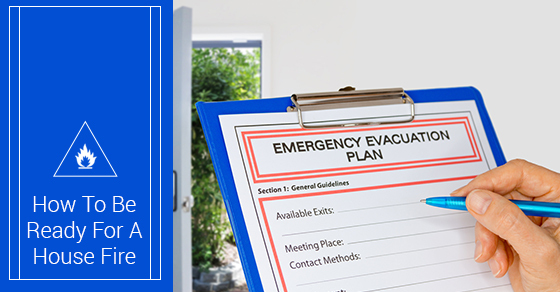 In order to ensure that everyone’s on the same page, you should consider holding fire drills periodically so that you and yours can practice the evacuation procedure. You’ve no doubt heard stories about people who, lacking home insurance, were left with nothing after a devastating fire burned their dwelling to the ground. Don’t let that happen to you. Get the right insurance coverage for, among other things, any damage stemming from fires. That way, you can safeguard your family and their well-being. So if you were wondering how to be prepared for a fire in your home, you now have a few tips. At Calgary Alarm, we can help you to keep your home safe from various potential threats, including fires. Contact our team at 403-242-2266.